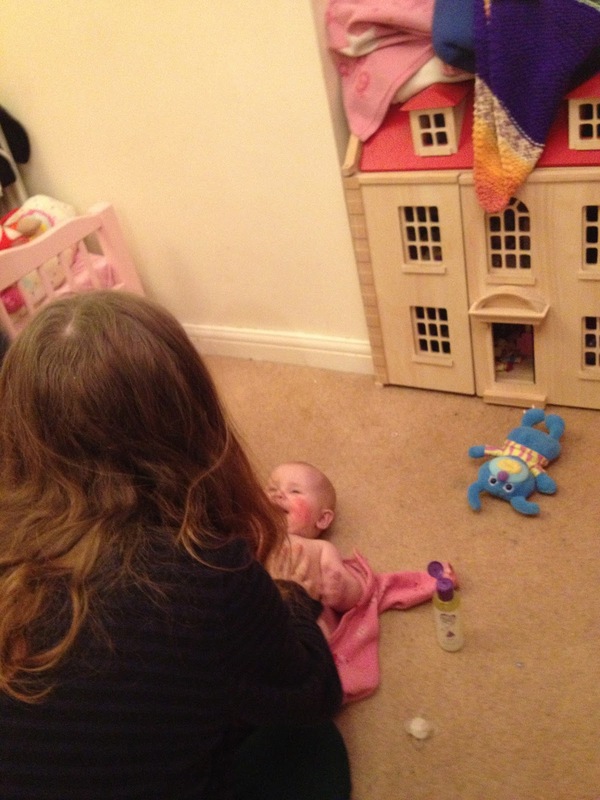 Now we cracked getting Layla to go back to sleep when she was waking up in the night. Next was trying to get her nice and settled before bedtime. I was given something to try from Cussons Mum and me. If you don't know this company let me explain a little about them. Their slogan says designed by mums, developed by experts. They have created three different ranges : bump, new mum and baby. These are designed to help mummy's right from pregnancy til way after the birth. And the added bonus is that the baby range is paediatrician approved. 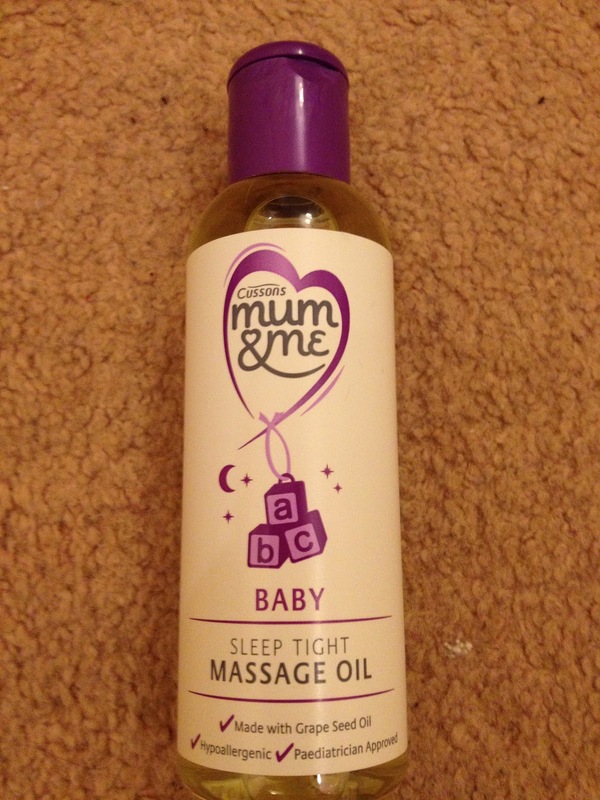 I was sent their baby sleep tight massage oil to try. It comes in a nicely sized 100ml bottle, perfect to have at home, in your changing bag or even in your hand bag. I was happy to see that it is hypoallergenic, as all of my children have suffered with eczema so finding things I can use on them can sometimes prove difficult. The oil is made with grape seed oil and peach so the smell is mild but really lovely. It also contains a unique blend of jasmine and aloe vera which is there to help soothe your baby's skin. All of this should hopefully encourage a good night's sleep for your little one. I started using the oil last Wednesday, so I have been using it for about a week now. I have to say it hasn't dramatically changed anything but Layla loves been massaged, so it has introduced a nice element into her routine. You warm it in your hands before starting and what I love about it is that it isn't greasy or sticky. It left Laylas' skin feeling nice and soft. After finishing I wash my hands and my hands were left feeling soft too, no more need for moisturiser!!! Priced at £4.99 I think it is great value for money as you only need to use a tiny amount, the bottle will last for a long time. I would definitely recommend to others and I am now looking into buying the bath wash and baby lotion from this range too.